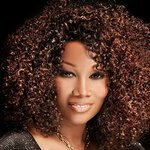 GRAMMY winners Yolanda Adams, Dave Grohl and Rihanna and current GRAMMY nominees Leon Bridges, Ellie Goulding, Chris Stapleton, and Florence Welch have been added to the performance lineup for the 2016 MusiCares Person of the Year tribute concert honoring Lionel Richie on Feb. 13 in Los Angeles. Late night television personality Jimmy Kimmel will host the event. Previously announced performers are GRAMMY winners Lenny Kravitz, Lady Antebellum, John Legend, The Roots, Usher, Stevie Wonder, Pharrell Williams, and singer/songwriters Luke Bryan and Demi Lovato. Rickey Minor, current music director for “American Idol” and past two-time music director for the GRAMMY Awards, will serve as the gala’s musical director. Richie will be honored as the 2016 MusiCares Person of the Year in recognition of his significant creative achievements and career-spanning charitable contributions. Proceeds from the 26th annual benefit will provide essential support for MusiCares. The MusiCares Person of the Year tribute ceremony is one of the most prestigious events held during GRAMMY Week. The celebration culminates with the 58th Annual GRAMMY Awards at Staples Center on Monday, Feb. 15. The telecast will be broadcast live on the CBS Television Network at 8 p.m. ET/5 p.m. PT.